Who still buys CDs and can the format survive? 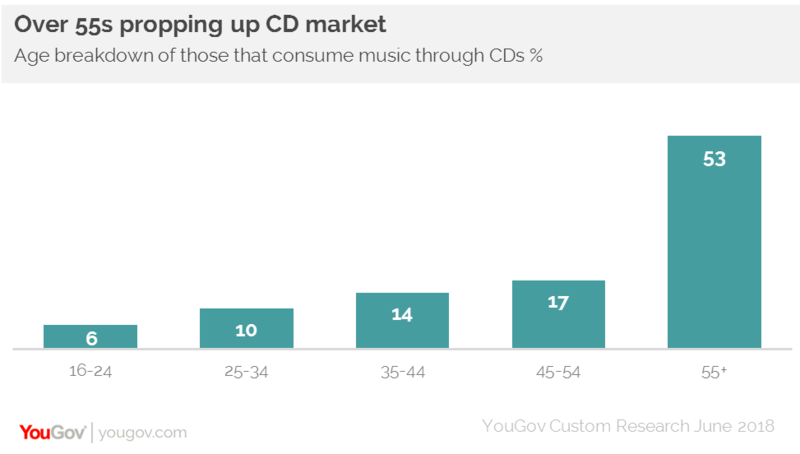 A new YouGov study reveals who is still listening to and buying CDs, and whether there is any way that the format can survive the digital music takeover. YouGov’s Music Industry report indicates that 42% of the population access music through CDs, while 41% of CD listeners say that CDs are their favourite way to consume music. However, only 18% of CD listeners are buying new ones each month. As one would expect, CDs are the preserve of those in the older age groups. More than half (53%) of those that listen to or buy CDs are aged 55 and over. Comparatively, just 6% of CDs listeners are 16-24s. It follows therefore that CDs listeners are less engaged with the music industry. Just 6% follow the charts, and only 15% say that the music industry is changing for the better. CD buyers can feel left out of the industry, with 40% finding it frustrating when music is released exclusively through only one platform or service. Is there any future for CDs? There is a glimmer of hope for CDs continued use. 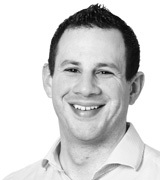 Close to two thirds of (64%) current users and purchasers expect to be using CDs in five years’ time. However, this does indicate that 36% don’t see a future for the format, which will do little to arrest its decline. Indeed, 36% of those that don’t expect their CD usage to be the same in five years are already using streaming services. The study suggests that for many there is a certain compatibility between using CDs, streaming and radio. A quarter 25% of CD listeners use streaming services, while more than seven in ten (71%) also use the radio to listen to music. Notably, only 14% of over 55s who use CDs are also streaming. Added to this, six in ten CD (60%) listeners prefer to consume music in traditional forms, which is also reflected in this group’s vinyl usage. A fifth of CD listeners also listen to music through their turn-table. Only a third (33%) regard listening to CDs as their main method of accessing music. This puts it behind the radio (35%), but ahead of music streaming 11% and digitally downloading through an online store (5%). However, whether the CD can survive simply as an accompaniment is doubtful. Our data illustrates why so many people have turned away from CDs. Over four in ten (45%) simply used a different method of consuming music, while three in ten (30%) think it’s an old fashioned way to access music. A fifth (21%) lost interest in them, 18% say CDs became too expensive, 16% believe they are irrelevant to them and 11% think they are now too difficult to use. Notably half (49%) say they cannot imagine going back to CDs. While those who prop up the CD market do value physical copies, it is fair to say that CDs don’t possess the same aesthetic appeal as vinyl, meaning it’s unlikely that a similar revival will occur any time soon. Although there is a sizable percentage of CD listeners that will continue to listen to music in that way, the amount that foresee their habits changing mean its market share will shrink further. With CDs now seen by 16-24s as a relic from the past, it is hard to see leading artists continuing to push their latest releases in this way.